I would like to share one of my ideas for preventing diaper rash and chaffing. 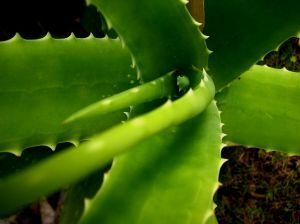 I use Aloe Vera either the fresh plant or the extract bought at the pharmacy or health food store. It saves money and is a great barrier cream. It also works great on teething rash around the mouth, as it is not harmful to swallow. I'm sure it works great on the cuts and scrapes for everyone else in the house gets. Thanks to Jennifer for this Frugal Baby Tip!